Welcome to TECH ZONE HVAC-R. My name is Randy and I’ve had an interest in HVAC-R since the mid 70’s. I graduated from HVAC-R School in 1989. I have had several successful business and trained technicians who have gone on to further their careers and even own and operate their own HVAC-R businesses. 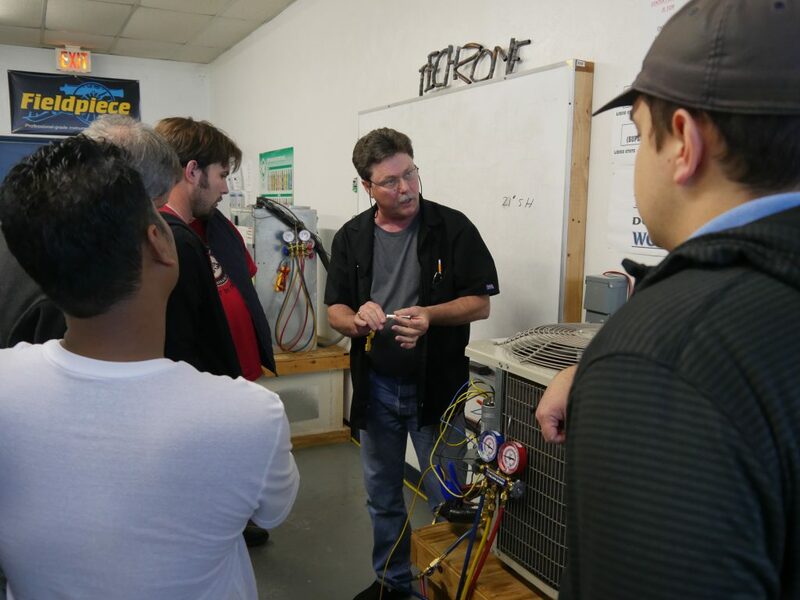 I would like to take this opportunity to teach you the skills here at Tech Zone HVAC-R Air Conditioning & Refrigeration School necessary for you to operate as a technician with integrity and confidence. This course is specifically designed to teach HVAC in a way that familiarizes you with the field as if you were in the field. Here at Tech Zone we are committed to teaching students how to bring out their confidence and talent to become a professional technician. In this growing industry, opportunities are excellent. The training that you will receive and that was designed, whether you choose to be a full-time or part-time student, to help you understand the HVAC industry, will open doors of employment in residential and commercial HVAC. If you desire employment in the field of HVAC and your ambition for the future is to own and operate your own business, please consider enrolling for training at Tech Zone. We invite you to take a tour of our facilities to help you better understand that you are the future technicians in this professional field.